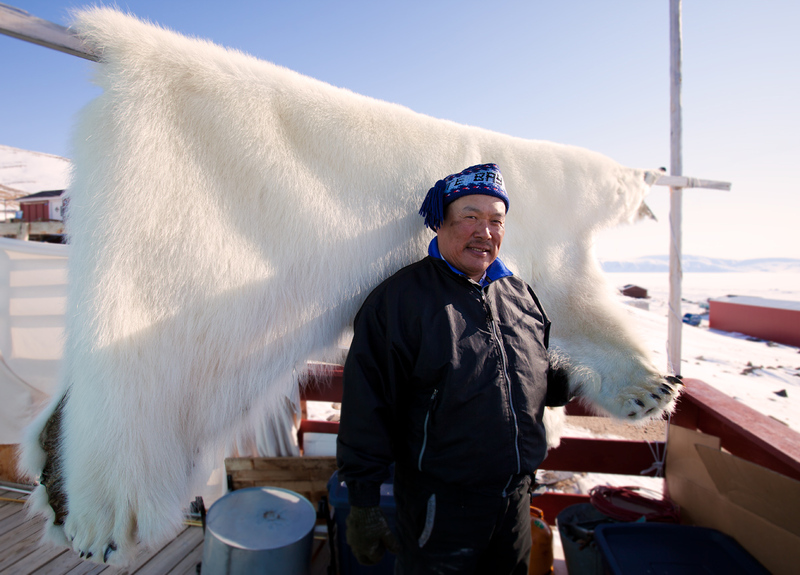 It is true that if an Inuit hunter were to see two polar bears, instead of hunting just one which could be shared among a small community, most hunters will shoot them both. Because of the strict quotas in place that limit the number of animals to be hunted each year, sharing the kill with between different families has become a way of the past. Now, everything is purchased with money, even between close friends. There is an immense pressure to make the income required to buy the necessary imported food, and as the cost of living in Greenland is extraordinarily high, most feel as if there is no other choice. They must hunt more than was needed in the past, enough to sell the skins, meat and ivory for how else could they meet the demands of their modern lifestyles? And I know what you may be thinking, but there is no returning from this dependency on the contemporary way of life. The past is lost in translation as there is no written history, the current reality is tangled between excessive hunting versus the necessity to support a family in the twenty-first century and as a result, the future of Greenland is changed permanently. In such a seemingly simple place there is a culture stuck in transition. Many want a first world way of life but in reality, there is little chance of realizing such a lifestyle in the polar regions of Greenland. The youth choose not to learn the ways of a hunter and often use alcohol and American movies to escape a geographically isolated existence. 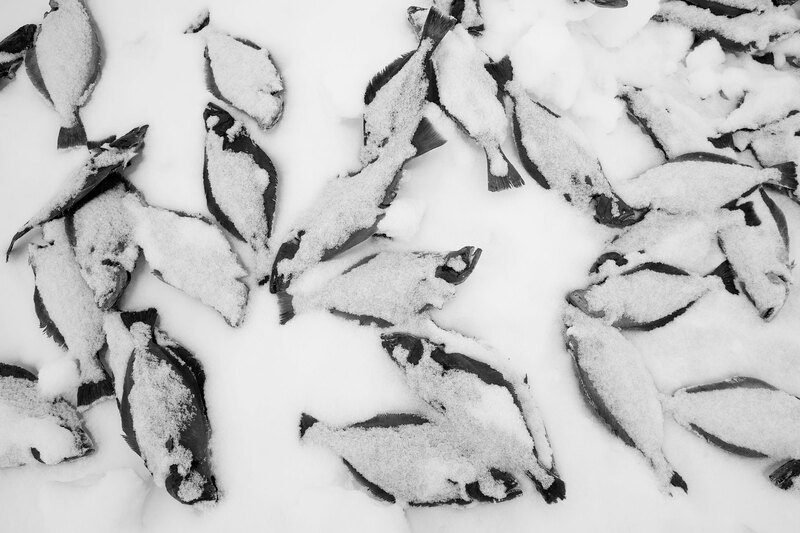 Some parents welcome the frozen meat and canned food imports, rely heavily on the oil supply to heat their homes, and encourage their children to get an education rather than become a fisherman or hunter. Although I personally believe that knowledge is power, the educationally system in northern Greenland hardly compares to international standards. Greenland has one small university in the capital city of Nuuk, but most often if a student wishes to attend higher level schooling, they go to Denmark. Secondly, there is little infrastructure in place to offer an educated Greenlander a job that pays enough to support a family. As a result, children who do get an education find themselves out of school, out of a job, without any skills to survive as a hunter and trapped in system with no where to turn. Our time living with the Inuit in Qaanaaq brings stories of sorrow and lose but also of unparalleled determination and a strong survival of spirit. It is not a culture that has managed to completely preserve its traditional way of life, however there are many who know that customs must maintain if the culture is to stand a chance against time. Alas, the modern day Eskimos have first world desires jumbled with looming shadows of a spirited past. When we are sit in our cozy homes all across the world, it’s easy to judge remote cultures for an array of environmental or humanitarian crimes. Here in this remote region of northern Greenland, hunting is in their blood and it’s what they know how to do. From their eyes, they see many seals along the sea ice and feel the quotas are suppressing their culture and destroying the Inuit practices. Frustrations rise when the outside world attempts to tell these ancient people how to live in accordance to today’s global rules. The Inuit see the the natural world as part of the circle of life that has shaped their past. Examined from the outside, it is hard to ignore the facts that the Inuit do hunt many species that the rest of the world is fighting to keep alive. 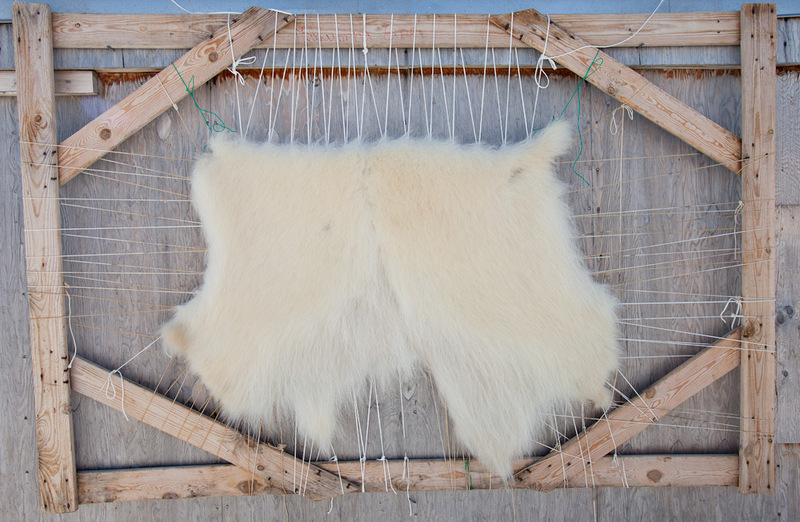 Although many factors play a role in polar bear and narwhal population decrease, the Inuit hunting lifestyle is one of them. Both sides are equal when viewed separate from one another, but the two oppositions can not co-exist. The quotas placed on the hunters mixed with the inability to sell many of the furs as a means of income is undeniably responsible for the youth of Greenland to stray from their ancestral ways. Knowing that there is a huge world outside and having absolutely no way of reaching it is another major factor that contributes to the alcohol abuse and teen suicide that occur frequently in Greenland. With limited options to make money, the people are trapped, frozen, unable to revert back to the old ways with no clear path into a new one. When no roads connect two towns and airfare costs an astronomical amount of Danish Kroner, whether you live in a small town or bigger city, all you know is the same streets you have walked upon since you were a child. The harsh seasons of this beautiful island may seem pristine and enchanted to a passerby, but under a thin veil, many people are suffering. We struggle greatly with how to convey this reality with all its facets as it is impossible to fully understand decisions from the past or movements in the future. We are saddened by the destruction of a shamanistic, sustainable and isolated life the Polar Eskimo’s once lived. Whether they wanted it or not, they now live in a modern world where the old ways are sure to be completely gone in the near future, if they are not already. If not for the introduction to international goods and a global economy, Greenlanders would still be living without heated homes and wood to build their towns. This may be true, but at what cost have the Greenlanders paid for a move civilized lifestyle. Steen continues, “You talk about transition. You are going from one segment to another, going from a natural way of living to a very industrial way of living which will take a long time.” This country stands in the wake of substantial transformation now tangled with the complexities of a modern world. With no sure fate to grasp for any of us, we must continue to always ask questions and attempt to understand the repercussions of our actions before we take them. This is our planet and the dire importance of fighting for its survival is today’s greatest battle. Thank you for these informations about the inuits and the challenges they have to face in our modern world. A lot of believe believe that laws protecting nature or wild animals are always good and nothing else. But here we can that there are two different to look at it. It is good that people become aware of dualities that we are facing when talking about environment, nature and protection. Your photos are really more than charming by the way. Thanks for this – fascinating reading and stunning photos. Beautiful story, supported by amazing photography. The light is beautiful. Thank you for writing about the challenges that the Inuits are now facing, and helping us understand the culture of this very intriguing people. Your blog is great, and I look forward to reading more about this beautiful place and its people. I always look forward to reading your posts and viewing the beautiful photos. Thank you for bringing to the world’s attention the plight of this brave people. A great blog, enlightening posts and stunning photos. What a conflicted situation! I feel for these people and their children’s future. Thanks for keeping such a wonderful record of your adventure along the 70th. It is bad when an old culture disintegrate, and it happens all the time in many countries. One extra problem for the inuits is of course the judgement western people have about hunting in general, in especially hunting of seals, whales and polar bears. I guess it is not because these judging people don’t care about other people, or don’t care about other cultures. I think modern life, and especially modern life in big cities makes people very shortsighted. They don’t care were food comes from, as if it is invented in factories, and they don’t know how nature works. The seals, whales and polar bears didn’t get extinct when the hunting was free, at least not by hunting inuits. People who lives in and by the nature coexist with nature. Hunting is part of this balance, weather the hunter is a wolf or an inuit. How can people eat chicken or pigs who have never seen daylight, and at the same time condemn hunters who kills a seal to eat? That seal at least had a natural life as long as it lived. wow! what insight. beautiful writing michelle, and wonderful photography justin! What a tough existence they have – amazing – it’s also with very strong roots in their heritage. They have always been hunters and have to be to survive. It’s very exciting to follow you and to meet the people of Greenland. Stunning photos again. So much to process and look for an impossible solution. Beautifully written, my love. Fantastic pictures Justin.